Thefts of caravans and motorhomes do happen – but they’re rare from top-rated, secure storage sites with good security in place. The higher the level of security, the lower the risk of theft. In this video, we go through what to look for when choosing a secure storage site for your caravan or motorhome. At Caravan Guard we reward the security conscious caravanner and motorhome owner with a range of discounts, including for secure storage. 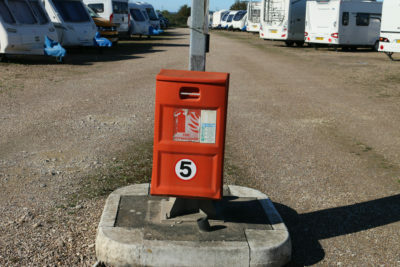 Many storage sites are rated by the Caravan Storage Site Owners’ Association (CaSSOA). They give gold, silver or bronze ratings, based on the levels of security and services offered and list these sites on their website. We recognise the levels of security at CaSSOA gold or silver-rated sites by offering a caravan insurance discount. Choosing a storage site close to home means you can access your leisure vehicle as often as you wish. 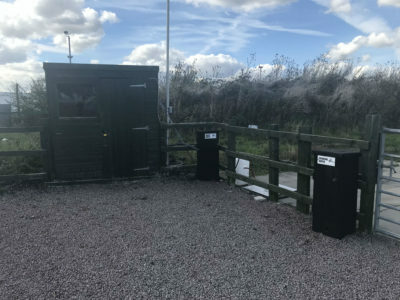 Check where the storage site is based as insurance companies will also rate your storage site based on its location, crime levels, flooding risk and the levels of security in place. 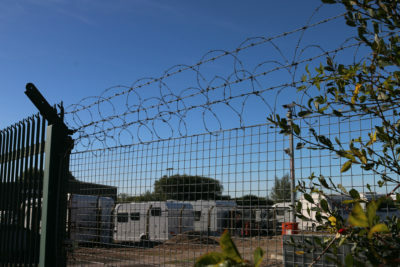 Perimeter fencing is an important part of caravan storage site security. Look for high, metal fencing which has barbed wire along the top, or is pointed. Fencing which is alarmed is even better. 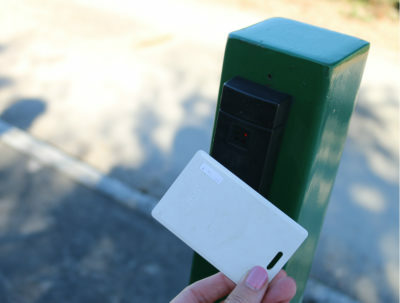 Look for entry and exit gates which use a pass or secure combination. Even better are sites with airlock style gates – this is where you have to wait for the first gate to close before the second one can open. Check that getting out is also via a similar way. 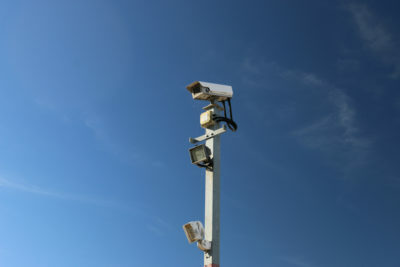 Look for secure storage sites with a 24 hour CCTV monitoring system, to not only detect thieves but to be able to provide footage of any intruders to pass on to the police. Key fobs or card access which record everyone who enters the storage site (and leaves). Trees and shrubbery around the fencing. Certain trees and shrubbery can provide a great screening effect but make sure they don’t provide access over the perimeter fence into the site. The storage site’s surrounds. For instance we know of sites in former quarries or with trenches around them making access to the site other than the main entrance very difficult. Lighting to help deter thieves. Spacing between units – to allow easy access, reduce fire risk and maneouvering mishaps. Fire safety, such as alarms to alert the fire service and fire extinguishers. Access to services, like water and electrics for cleaning. Storing your caravan or motorhome close to your dealership means you’re close by if you want to book your vehicle in for a service or have some technical issues you might want resolving. 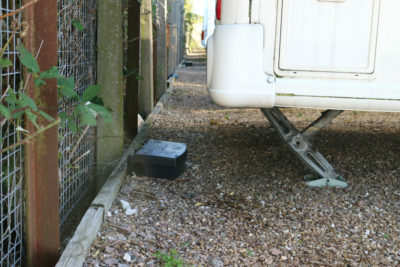 Vermin control, to prevent mice and rats getting into your caravan or motorhome. Also if possible consider indoor storage sites – this will not only protect your caravan or motorhome from the elements – it will add an extra layer of security to deter thieves. 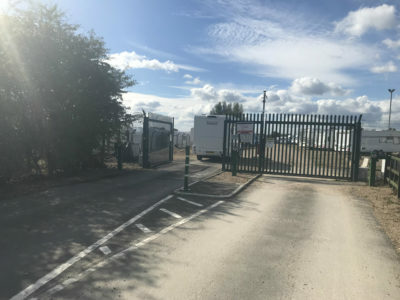 NaVCIS Leisure Vehicles Officer, Tim Booth, said owners should not rely on just the security the storage site provides. 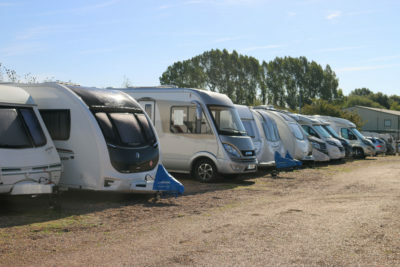 Remember, when leaving your caravan or motorhome in storage, you must still make sure your security devices, such as caravan hitchlock and wheel clamp are fitted and that devices, such as alarms and trackers are activated. 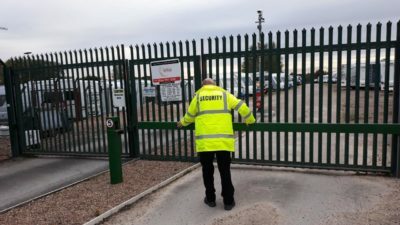 If an offender does manage to get through a perimeter fence they can then help themselves to caravans or motorhomes that don’t have security locks fitted, warned Tim. 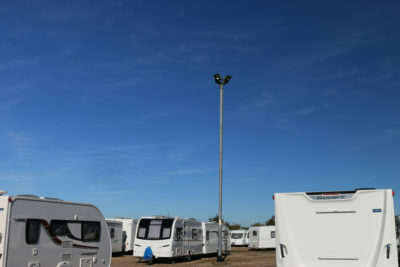 When keeping your caravan or motorhome away from home, especially if your storage site is unmanned for large periods of time, consider a proactive tracking device which will send an alert if your caravan or motorhome is broken into, or moved, so theft can be detected and reported early. Tim urged owners to make sure any subscriptions are paid for and for extra reassurance check with your provider that any alarm notifications are working properly as some storage sites can have ‘dead spots’ for mobile communications. Try to make monthly visits to your storage site to check on your vehicle’s security and for any storm damage or vandalism. “Debris blowing across storage sites can result in damage and it’s best to find it earlier rather than later when water ingress has occurred,” added Tim. Always make sure all windows, lockers and roof lights are closed and locked. Remove any valuables and food. Leave locker doors open, plus the fridge, and security mark items that you’re leaving behind. Make it as difficult as possible to prevent caravan theft or consider visible security devices to deter motorhome thieves. Make sure you’ve drained down during the winter period to prevent any frost damage. Our caravan and motorhome insurance policies state that you must drain down from November 1st through to March 15th. Remember, a secure storage site will give you that peace of mind that your valuable asset is being protected when it’s not in use. Keep tuned to our YouTube channel for a video on storing your caravan at home. Remember if storing at home, having gates that you keep locked at all times or a security drive post could mean you’ll receive a cheaper insurance quote for your caravan or motorhome. So if I use my caravan to go to the South of France, Spain or warmer climes for the winter months between November and February does my insurance become null & void if I use my water system whilst away on my travels?? Hi Andrew, if you’re using your caravan between November and March you don’t need to drain down. It’s only when it’s not in use. Last year our caravan was broken into when on a secure site. It took the thieves a very short time to disable the CCTV and then cut off the Alko wheel lock and the Milenco hitch lock with an acetalene cutter or similar. The site was surrounded by a ditch and secure fencing, apart from the single entry/exit. Given their easy removal of sturdy locks, it would have taken no time to cut through the height barrier too. They got into the caravan easily with a screwdriver in the lock (thus damaging the door and the lock) and given that fact we will be leaving the door unlocked whilst in storage this year, given that we leave it empty and there is nothing left inside to steal. We have added three extra security levels to try and beat the thief this year. 1) A Milenco door lock/handrail but this is to protect our belongings on site and will not be used when the caravan is empty and in storage. 2) Lock em out window locks which again will not be used in storage. 3) JSB hublock which will be used in storage. When we fit this device we will be taking both that wheel and the spare wheel away from the caravan and storing them elsewhere. 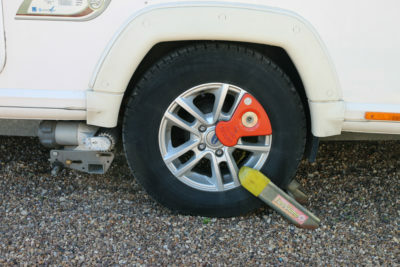 In that manner the thief will not only have to remove the lock but also remember to bring a spare wheel. I recommend the JSB hublock and believe that it should be considered for more formal recognition and maybe a discount like the less effective Alko wheel lock. It is more cumbersome to fit and I still believe the Alko lock to be very effective on sites where there is always activity but the JSB lock is far more secure for storage. Sorry to hear about your caravan break-in Mark and great to hear about the extra layer of security you’re adding to beat the thief. We would advise you do lock your caravan but perhaps add a sign to say that nothing has been left inside and leave curtains and cupboard doors open to deter thieves. We’ll pass on your comments about the JSB hublock to our claims team.